Call 902-892-1673 to schedule an eye exam. Dr. Joe Hickey grew up in Summerside and, after graduating from Three Oaks High School, took a year off to contemplate his future and decided Optometry would be an interesting Profession to pursue. 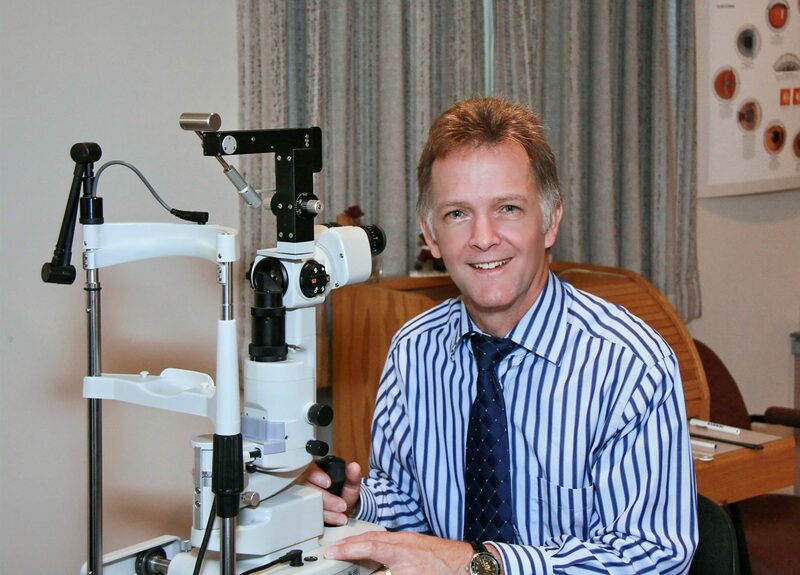 He graduated from the University of Waterloo School of Optometry in 1984. After taking the summer off, he relocated to Calgary Alberta where he purchased an existing Practice and began to establish his career. However, PEI kept beckoning and like many Islanders, he met his wife and then transferred back to PEI in the fall of 1987. Dr. Hickey joined Dr. Greg Beer to form Drs. Beer, Hickey & Associates which, in 2006, went through a partner change to become Drs. Hickey, Burke & Associates. The Practice, which was also redesigned, continues to offer a high level of eyecare with state of the art equipment and a full complement of staff. Dr. Hickey stays active in his Profession, currently the Treasurer of the Provincial Association, along with being a past President. He also serves on different Boards of Optometric committees. Dr. Hickey and his wife Laurie have two children and he enjoys walking his dog, still playing old-timer’s hockey, playing trumpet with the Second Chances Community Band and recently, a renewed interest in photography, trying to get out most weekends for that perfect shot. Emergency: In case of an eye emergency that happens outside of our business hours, please report directly to the Queen Elizabeth Hospital Emergency Department. Patient Referral Reward Program...Click for Details!